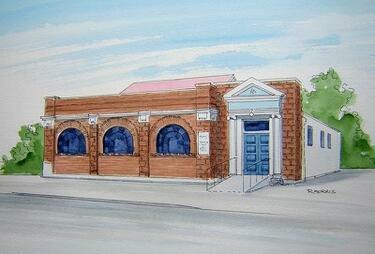 A digital copy of a pen and ink and watercolour painting by Raymond Morris, titled, 'Strange's & Co., 1899-2011'. 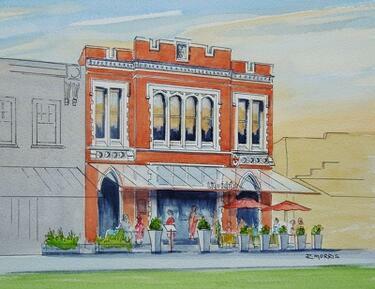 A digital copy of a pen and ink and watercolour painting by Raymond Morris, titled, 'Colombus & Ware, 650 Colombo Street'. 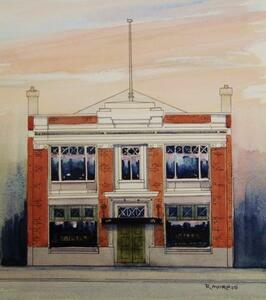 A digital copy of a pen and ink and watercolour painting by Raymond Morris, titled, 'Sammys Jazz Review Bar, 14 Bedford Row'. 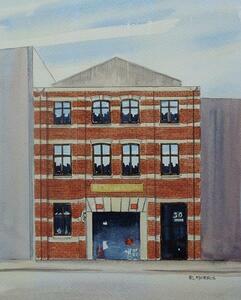 A digital copy of a pen and ink and watercolour painting by Raymond Morris, titled, 'Henry Berry and Co, 30 Bedford Row'. 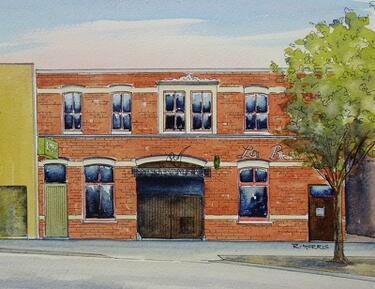 A digital copy of a pen and ink and watercolour painting by Raymond Morris, titled, 'Highway Lodge, Papanui Road, Merivale'. 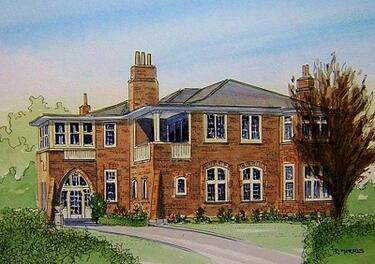 A digital copy of a pen and ink and watercolour painting by Raymond Morris, titled, 'Masonic Crown Lodge, Sydenham'. 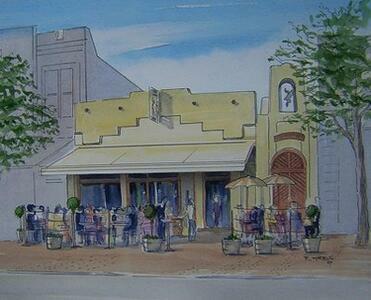 A digital copy of a pen and ink and watercolour painting by Raymond Morris, titled, 'Coyote Bar and Restaurant, 126 Oxford Terrace'. 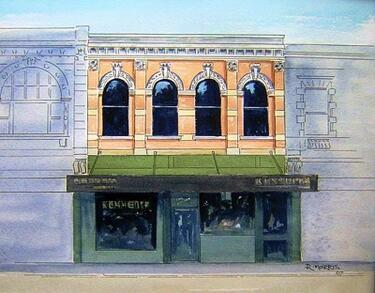 A digital copy of a pen and ink and watercolour painting by Raymond Morris, titled, 'Guthrey Centre, Cashel Mall'. 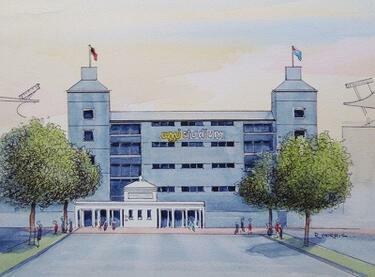 A digital copy of a pen and ink and watercolour painting by Raymond Morris, titled, 'Hadlee Stand, AMI Stadium (Lancaster Park)'. 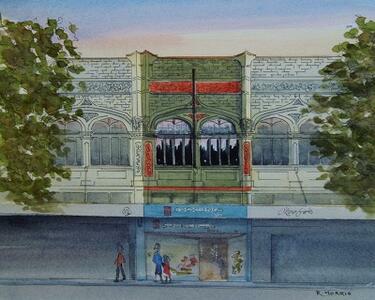 A digital copy of a pen and ink and watercolour painting by Raymond Morris, titled, 'Liquidity, 128 Oxford Terrace'. 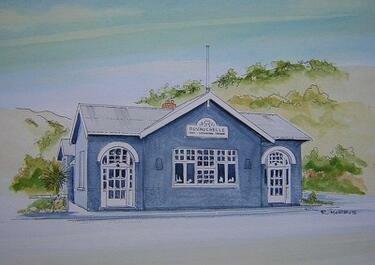 A digital copy of a pen and ink and watercolour painting by Raymond Morris, titled, 'Duvauchelle Post and Telegraph Office'. 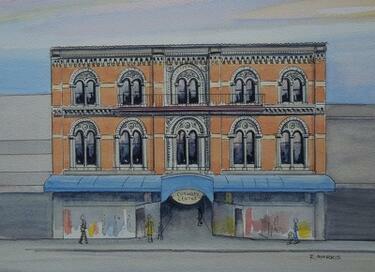 A digital copy of a pen and ink and watercolour painting by Raymond Morris, titled, 'Kennetts Jewellers, High Street'. 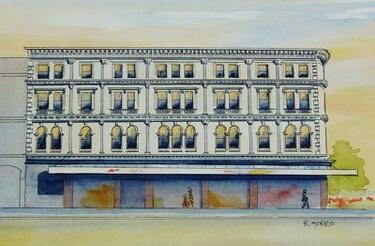 A digital copy of a pen and ink and watercolour painting by Raymond Morris, titled, 'Domo Store, 236 Tuam Street'. 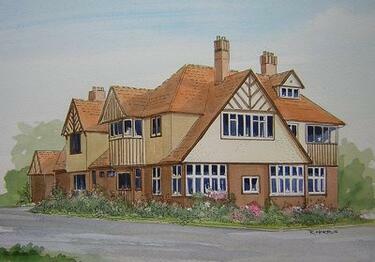 A digital copy of a pen and ink and watercolour painting by Raymond Morris, titled, 'Dorothys Hotel'. 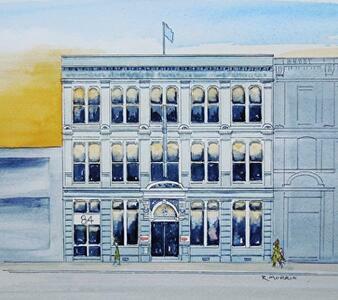 A digital copy of a pen and ink and watercolour painting by Raymond Morris, titled, 'Hillary and Baxter Building, 178 Manchester Street'. 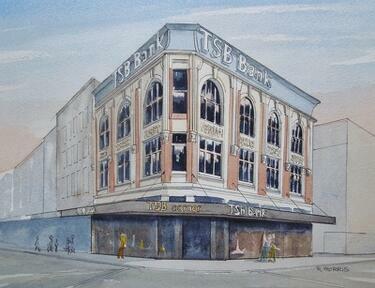 Raymond Morris's painting, 'Bob Browns Hi Fi, 218 Manchester Street'. 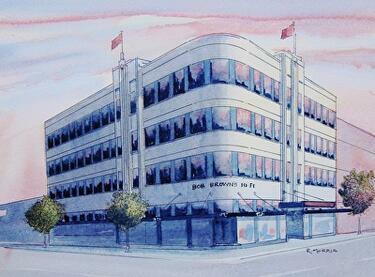 A digital copy of a pen and ink and watercolour painting by Raymond Morris, titled, 'Bob Browns Hi Fi, 218 Manchester Street'. 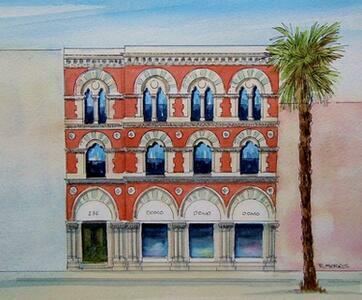 A digital copy of a pen and ink and watercolour painting by Raymond Morris, titled, 'TSB Building, corner Colombo and Hereford Streets'. 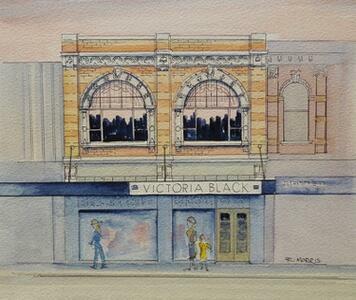 A digital copy of a pen and ink and watercolour painting by Raymond Morris, titled, 'Victoria Black, 201-203 High Street'. 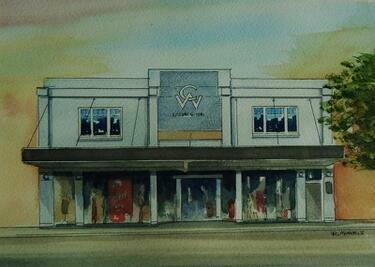 A digital copy of a pen and ink and watercolour painting by Raymond Morris, titled, 'Sucklings Shoe Store, 627 Colombo Street'.